Florentina welcomes our guests to enjoy Fantastic living room and reception, a comfortable TV room so our guests can enjoy great movies, Netflix, music. Amazing terrance where guests can chill,have some beers, meet other travellers, enjoy a sunny day and listen to some good tunes. Kitchen fully equipped for those who enjoy cooking their meals, large dinning table to enjoy breakfast, lunch and dinner, friendly staff, it’s a welcoming place to return to after a day of city exploration. 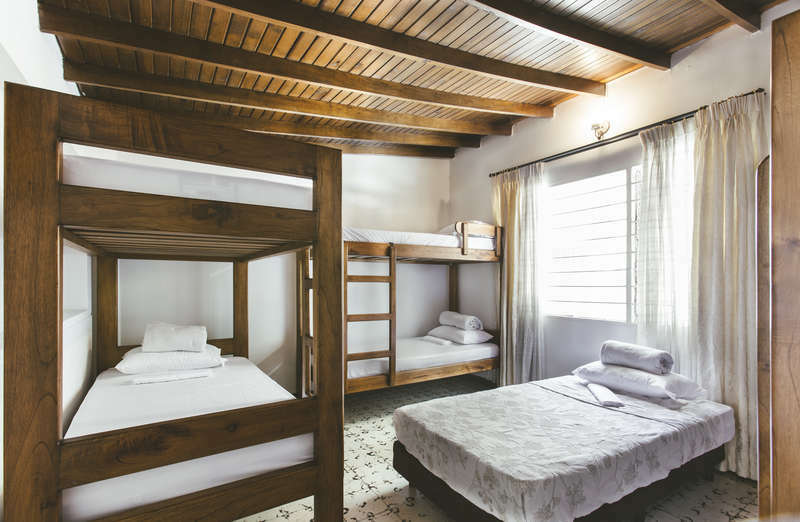 Florentina has shared dormitory style accommodation along with dorms witch accommodate 4 and 7 guests, well equipped with wide beds, lockers and individual reading lights. The private room has a personalised decoration, double bed, TV, private bathroom Towels are available for a small fee. Free Wi-Fi throughout the house. We will provide you the best info you can get to enjoy city tours experiences, parties and wild nature immersion tours, almost all of it by walking distances. 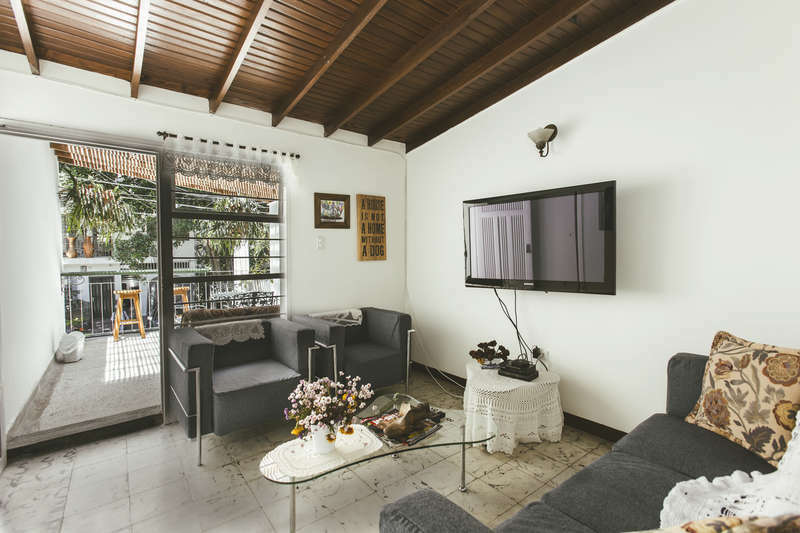 Florentina is located in the peaceful, safe and traditional neighbourhood of Manila in the district of El Poblado, the hostal is a 5 minute walk to the metro station, buses, taxis and Uber that makes it easy to go anywhere in Medellin. 10 minute ride to our domestic flight airport and the two bus terminals. Near by supermarkets and ATM's. Short and safe walk to El Parque Lleras "Zona Rosa" heart of the Night Life in Medellin. Its very easy to get to Florentina, our adress is Cra 43e # 11 - 31 Barrio Manila, if you arrive to our main airport International Jose Maria Cordoba yo can take a taxi, bus or uber its a 40 minute ride. If you arrive at any of the bus terminal just grab any transport and you will be here in less than 15 minutes. Closest Metro Station is Estacion El Poblado. If you arrive at our domestic airport Olaya Herrera grab any transport it's just a 10 minute ride. 5 minute walk from la 10 one of the main streets in Medellin. Short walk from El Parque Lleras. Cancellation policy: 24 h before arrival, you can make a cancellation a day before arrival, free of charge.